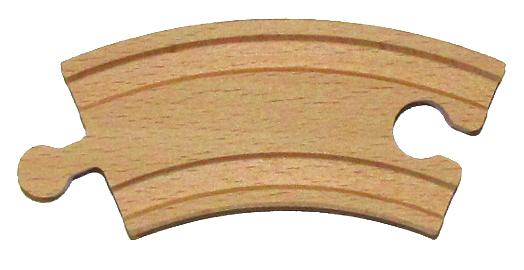 3-1/2" curved wooden track. For those tight radiuses in small spaces. Grooved on both sides. 8 curves make a 10" diameter circle. Use them to expand on the wooden track collection you already have.